The Indian Army will not hesitate to take strong action to deal with terror activities along the border with Pakistan, Army chief Gen Bipin Rawat said on Tuesday. "We are ensuring moral dominance along border in Jammu and Kashmir," he said while addressing Army personnel on the occasion of Army Day here. 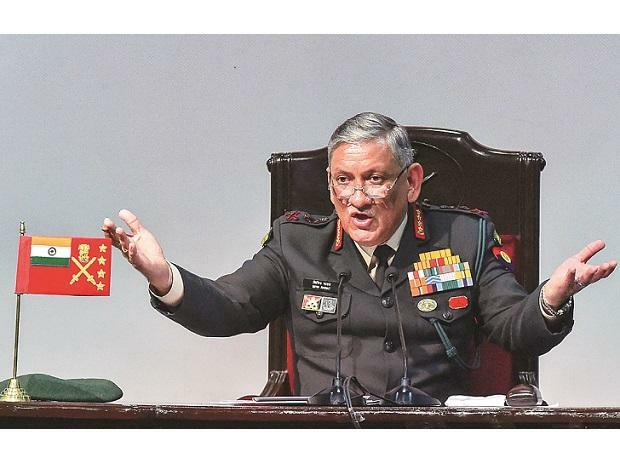 The Indian Army will not hesitate to take strong action to deal with terror activities along the western border, Gen Rawat said. He said new guidelines are being followed to maintain peace and tranquillity along the border in the eastern sector. "We will keep reviewing the situation along the eastern border," he said, referring to the border with China. "Our soldiers will not allow any compromise in guarding the border in the eastern sector," he said.